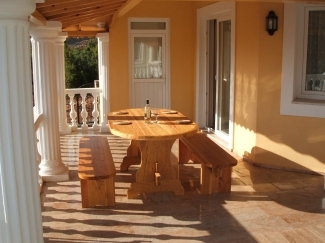 The villa is an ideal holiday venue for extended families with children and for larger groups of friends and particular emphasis has been applied to children's needs and to their safety. 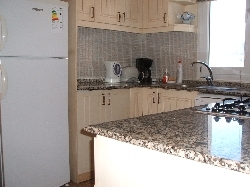 From the Villa entrance hall an archway leads to a fully equipped kitchen able to cater for up to 13 people. Another archway leads to the main lounge with a wood-burning fireplace and satellite TV/DVD/CD, a further archway then leads into the separate dining room. Also on the ground floor there is a second separate lounge, with a stereo music system with iPod dock, which can also be used as an additional twin bedroom and is close to a toilet/shower room. All these rooms access the outside veranda with another dining area, a charcoal BBQ and the barrier protected private pool. 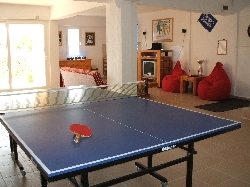 Downstairs there is a 60m2 Gym and Games Room with a cross-trainer, weights, punch-bag, darts, quoits, table football and a table tennis table. There is also a surround sound theatre system and a Nintendo Wii and a PlayStation PS3 together with a toilet/shower room and a bar area. The next floor includes a master king-size bedroom with large en-suite toilet/bath/shower room, another king-size bedroom, a twin bedroom and a large family bathroom. 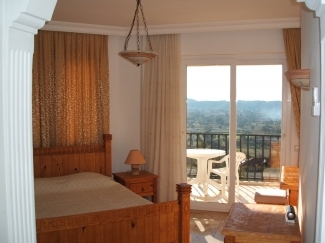 All these bedrooms have private sun terraces with stunning views. The top floor has a large family bedroom (with king-size and single bed) with a hidden sun terrace, a twin bedroom and a toilet/shower room. 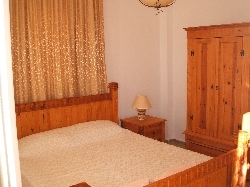 All rooms are air-conditioned and equipped with stylish handmade local furniture and all double beds are king size. The lower floors and staircase are finished with local marble. 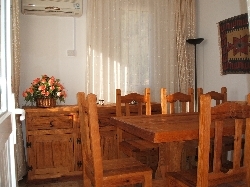 There is Wi-Fi Internet throughout the villa and a mobile 'phone is provided. Vacation Villa Kadyanda is situated in an elevated position, surrounded by pine forests, with stunning views over the plateau of Uzumlu and the nearby mountains. At 500m above sea level the area benefits from mountain breezes even in the height of summer. The traditional Ottoman village of Uzumlu is a 2km walk and has shops, restaurants, bars, an excellent wine bar and a weekly market. A short drive takes you to the beaches at Calis, Olu Deniz, Katranci, Patara and also to Fethiye Town. The bustling port city of Fethiye is 17kms away and can be accessed by the regular Dolmus minibuses, or if you hire a car the roads are excellent and the driving is easy. The world famous resort of Olu Deniz with its sandy beaches and sheltered lagoon is a short distance from Fethiye as is nearby Hisaronu with its lively night-life, clubs and restaurants and also the 'ghost town' of Kaya Koy is close by. Slightly further away are the ancient ruins and the unspoilt 20km beach of Patara and also Saklikent Gorge famous for white water rafting. The hilltop ancient Roman/Lycian city of Cadianda is just 15 minutes from the Villa. The rates are for the whole villa for up to 5 people and extra people, up to a total of 13, are charged at £5/day (Low Season) and £6/day (High Season) and there are no other extra charges. A free Welcome Pack is provided for arrivals at unsociable hours. 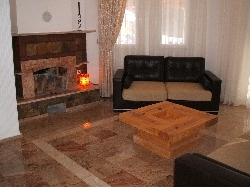 Electricity and Gas and all linen and towels are provided which are changed during the weekly clean. 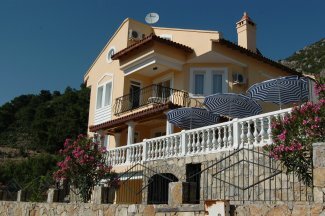 We can arrange return transfers from Dalaman Airport to the villa in a minibus and we can also arrange vehicle rental. To book remit a 25% deposit with the balance paid 8 weeks before arrival. Bookings can be made by Cheque, Bank Transfer or by using a Credit Card through a secure PayPal portal on our website.